"I' ve been buying and selling real estate for more than 30 years and have..."
Here at Covered Bridge Real Estate I am dedicated to providing you with individual personalized service. Guiding you through every aspect of the real estate transaction. I am not in the business of trying to close quick deals. Buying or selling your home is hard enough without having to worry about whether or not you chose the right agent. With a professional yet friendly approach, I help clients and customers through what can be a stressful decision. In today's real estate market, there is simply no substitute for a knowledgeable Realtor. Using a Realtor can spell the difference between a smooth transaction and an unsuccessful one. Trust is hard to come by in today's fiercely competitive real estate market. I am here to provide you with professionalism and integrity needed to ensure that you feel secure in what can be one of the biggest decisions of your life. From purchasing your first home to investment purchases, I have the tools for you to make your purchase as smooth as possible. Thank you for you interest in Covered Bridge Real Estate. 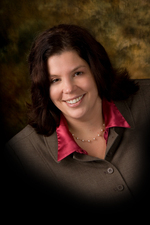 Please ask about Betty-Ann Bissonette Real Estate which services all of your Southern Vermont Real Estate needs.